Update: The round of 32 bracket will be revealed on Saturday. As of Friday morning, more than 10,000 votes have been cast. Last year, we awarded the prestigious Leslie B. Knope Award to Peoria City Hall. This year, we’re highlighting the best public libraries! From the historic to modern, functional to quaint, and urban to rural, the voting for the best public library in America begins this week. We’ll narrow the list below to the 32 best libraries which will be entered into the bracket challenge with a round each week. 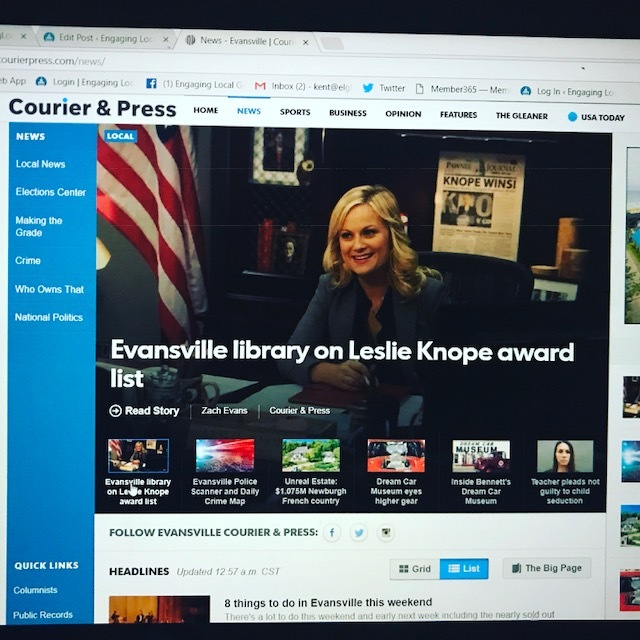 Use #ELGLKnope to show your support for your favorite library. Questions? Contact Kent at [email protected] More info on ELGL is available at In the News and Membership. * You can only vote once.